Anthrozoology is all about the interactions between humans and animals. It can touch on anthropology, medicine, psychology, veterinary medicine and zoology. Cue the three researchers pictured here, and their bevvy of cute pooches. 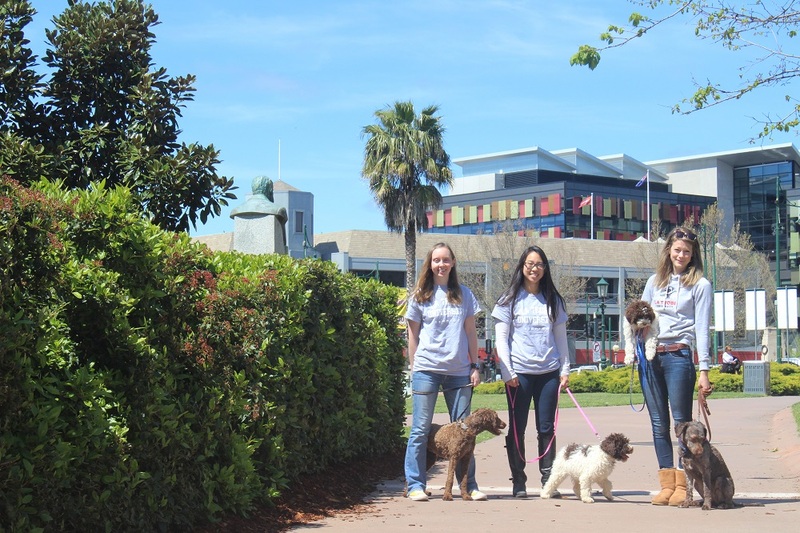 Americans Jennifer Gravrok, Lynna Feng and Sarah Byosiere are on scholarships to undertake full-time research under the supervision of Dr Bennett, who is world-renowned for her own research into the special bonds between dogs and people. Jennifer is researching the physical, psychological and social benefits of service dogs, including guide dogs, autism assistance dogs, mobility assistance dogs, psychiatric service dogs and alert dogs. Lynna has travelled from California to fulfil her goal to better understand how dogs learn and interact with the world. Lynna is a professional dog trainer. Her bachelor degree is from the University of California, Davis in Animal Science with an emphasis in Behaviour. She is currently researching how dogs use auditory signals to help them learn, which could have implications in the way they’re trained. Sarah arrived in Bendigo from Michigan in September last year. She has a Bachelor of Science in Biospychology, Cognition and Neuroscience and a Master in Biopsychology from the University of Michigan. Sarah began studying dogs by analysing how they play, specifically how dogs use the play bow. Before coming to Bendigo, she studied dogs at the Duke Canine Cognition Centre, the Clever Dog Lab and Wolf Science Centre. Sarah is currently submitting a manuscript on her findings to the journal Animal Cognition. 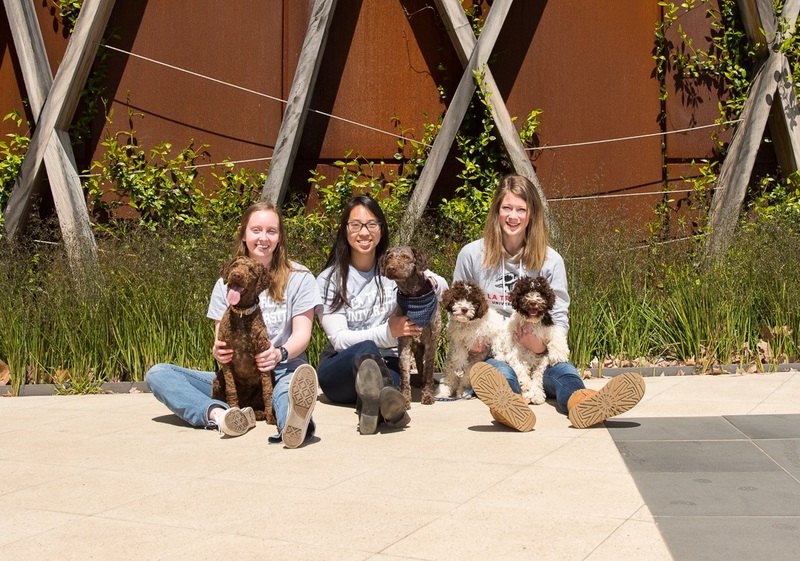 Most of the research is being done in the Bendigo Campus’ dedicated dog lab, but now the beautiful spring weather has finally arrived, there’s always time for some well-earned pet therapy in gorgeous Rosalind Park.